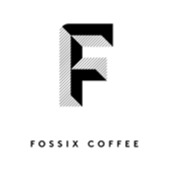 Fossix Coffee joined our Mission to help provide access to “Clean Water for All by 2030”. This Mission was initiated by the United Nations. A big thank you to Fossix Coffee’s team and customers for joining this extremely important mission on 02 May 2018. Fossix is a micro roaster with a passion for quality, based in the heart of Sydney. It all started with the dream of a roastery that maintained consistency from start to finish; from green beans to a brewed cup of coffee. Our desire was simply to brew beautiful coffee in the form of espresso, filters, pour-overs and cold brew. Our passion for the little green bean is complimented with our love for wholesome, fresh, flavoursome food. We built a menu that brings together favourites from our mamma's kitchen with contemporary tastes inspired by the likes of Yotam Ottolenghi, Nigela Lawson and Donna Hay. Whether it's lunch on the run or a sit down meal shared with a friend or workmate, we aim to deliver you a quality feed that not only satisfies your hunger but inspires you to slow down and enjoy every bite, topped off with a coffee roasted and brewed with excellence.